Next Session Starts September 14th, 2019! Bridge Studio at Art of Awareness is thrilled to partner with Mindy Miller Muse, MSW, ERYT 500hr of Yoga Muse School of Yoga to offer this 200-hour immersion program! This training is registered with the Yoga Alliance and will meet over a total of 11 weekends (nine 2-day weekends and two 3-day intensives). It will be hosted at Bridge Studio at Art of Awareness in South Portland, Maine, with occasional sessions and classes meeting in Kennebunkport, Maine at Yoga Muse School of Yoga. This training is open to yoga students from any background who are interested in becoming a yoga teacher, as well as those who simply want to deepen their yoga practice and understanding. Participants will be introduced to the immense exploration of yoga, as well as learn how to safely address the needs of individuals and unique populations, including trauma sensitivity, welcoming diversity, and adapting yoga postures for all bodies (including bigger bodies and aging bodies.) While participants will be encouraged to develop their own teaching style, this training will have an empowerment approach, where teachers are encouraged to promote student choices and encouragement to adapt yoga postures to suit unique/individual needs. To read the full program overview, click here. Ready to apply? View and download the program application here. •A serious commitment to learning and practicing Yoga. •The ability to adhere to the attendance policy. outside of the training hours outlined above. and complete all homework assignments. Download the program application here. Several weekend-format teacher training intensives are are also offered with Yoga Muse School of Yoga. 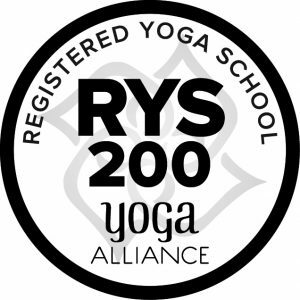 *Yoga Alliance Continuing Education Credits available. Yin Yoga Teacher Training (Weekend Intensive) *Contact Mindy to register! Restorative Yoga Teacher Training (Weekend Intensive) *Contact Mindy to register! For more information about intensive opportunities, including how to apply, please contact Mindy at mindymuseyoga@gmail.com.